I can add the G.Skill flare x 3200 for AB350m Pro4 working without problems. I'm using it at 3333MHz with CL14 and 1.35v. This "compatibility list" is a lie. is not compatible with the Asrock Fatality Professional Gaming. I tried two different kits of the flare-x and still nothing.. I'm returning the 2nd flare-x kit and will likely try the corsair vengeance cmk16gx4m2b3000c15 (which was recommended by Asrock Technical Support), if that doesnt work I'll be requesting a rma for a new Asrock x370 Fatality professional gaming and selling that board on ebay..
Asrocks customer service hasn't been very good, their technical support hasnt been much better. This is my first experience with an Asrock product, and likely my last.. They need to get off their duffs..
First, the memory controller is in the CPU for Ryzen processors, as has been for many AMD and Intel processor generations. So the mother board's memory compatibility is related mainly to the UEFI/BIOS, and the memory itself. If any ASRock AM4 board has the best memory compatibility, it should be the Fatal1ty X370 Professional Gaming. Which UEFI/BIOS version are you using? 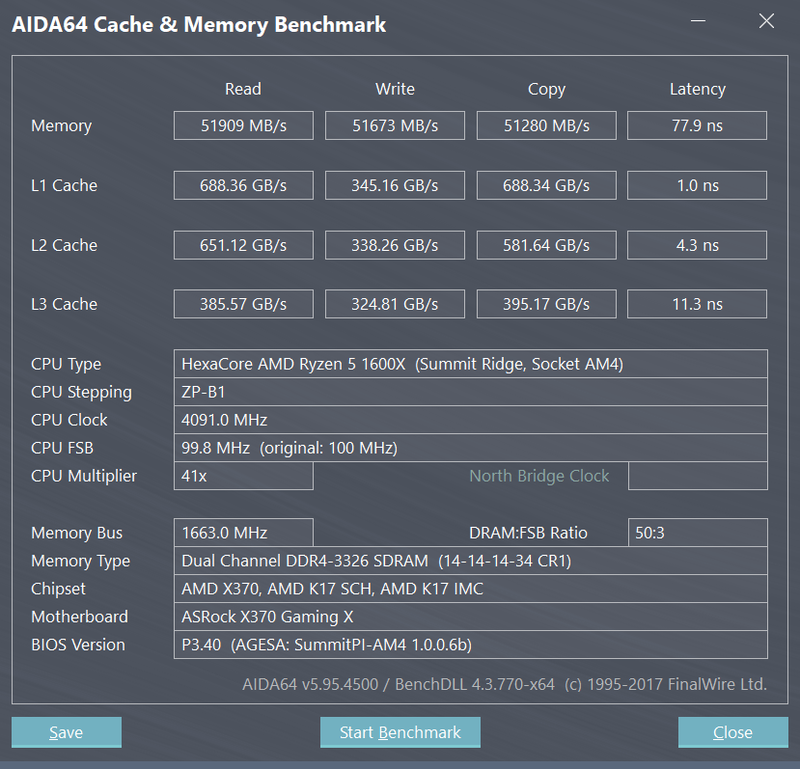 I use that identical model of memory in my X370 Killer SLI/ac board, and have since the first time I started the PC. Many other ASRock Ryzen users use this FlareX model of memory. You can see the post above this one that the same model of FlareX memory works with an AB350M Pro4 board, with a Ryzen 1600 processor. When you say "... still nothing", I assume you mean the PC will not complete POST? Why are you certain that the memory is the problem? Did you try clearing the UEFI/BIOS? The memory is in the A2 and B2 slots? What code do you see remaining on the Dr Debug display when you try to start the PC? Have you removed the CPU and checked for bent pins? I've just bought the Taichi x399 board with an AMD Threadripper CPU. Which memory sticks can be used for that. Hello. My memory 2 x 16 DDR4-2933 Corsair CMD16GX4M2B3000C15 v5.39 2993MHz working only on 2666MHz. why? installed the latest BIOS. i've an Asrock Fatal1ty gaming x and 16gb G.Skyl Ripjaws V F4-3600C16D-16GVK 3600 ..actually working without any problem at 3200 XMP ..they should be certified by Asrock to work also at 3333 but i haven't tested it yet ..as long as i think 3200 is a very good choice. After hours of trying different configurations, an RMA and new processor I found that this memory will run with the XMP on at 2934 MHz.. I had to turn off training mode and that stopped the instability with the memory.. Very happy with Asrock AB350m pro4.. the latest bios update works better on the processors I tested, including the A12-9800.